Does Dense Breast Tissue Pose the Same Diagnostic Challenge Using Liquid Biopsy as it Does for Imaging? Provista Blog > Does Dense Breast Tissue Pose the Same Diagnostic Challenge Using Liquid Biopsy as it Does for Imaging? As you may know, the topic of breast density is gaining attention in the breast cancer space. Unfortunately, there is still not a clear solution to address the density dilemma. 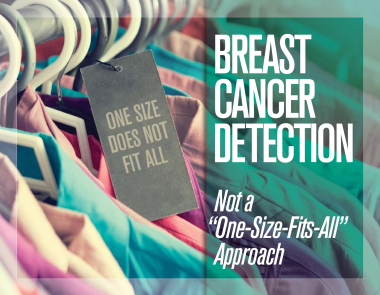 Advanced imaging options for women with heterogeneously and extremely dense breast may still create challenges for a healthcare provider in the form of false positive and false negative results. As with all breast cancers, the healthcare community is trying to determine which suspicious lesions are cancer and which are benign – made particularly challenging when further confounded by dense breast tissue. Aiming to help address the breast density issue, this study examined the ability of Videssa®Breast to rule out breast cancer in women with dense breasts. Videssa Breast is a protein-based blood test that when used in conjunction with imaging improves overall breast cancer detection. This new study demonstrates that a blood test used with imaging can improve overall breast cancer detection, regardless of breast density. By reading biochemical information rather than images, Videssa Breast can help reliably rule out cancer in women with dense breasts when imaging yields a suspicious result. Finally, we have a blood test that can be used in combination of standard-of-care to assist healthcare providers manage extremely and heterogeneously dense breast patients with BI-RADS 3s and 4s. Videssa Breast can provide a complete biochemical assessment to help determine the most appropriate next steps for the total management of the woman’s breast care. To receive information like this about the latest studies in breast cancer detection, sign-up for our mailing list here. At Provista Diagnostics, our mission is to develop world-class diagnostic tests for indications in breast and gynecologic cancers. As a leading diagnostics company, our aim is to create, produce and market innovative solutions for unmet clinical needs. Our products and services help to diagnose diseases and inform better clinical decisions, thus enhancing women’s health and quality of life. We do this in a responsible and ethical manner with a commitment to excellence in every aspect of our business.